All your questions regarding the Education or ED Visa answered from Koh Samui Language School! What is the official name for a education visa? Can I get a visa from inside Thailand? No visas are issued from within Thailand, if you’re already in Thailand you must leave the country and collect your visa from a Thai Embassy outside Thailand. Which country should I travel to from Thailand to get my visa? The most popular and easiest places to collect your visa from is either from Malaysia, in Penang or Laos, in Vientiane. Do I need the approval letter from the Ministry of Education if I’m already in Thailand? Do I need my approval letter from the Ministry of Education? Depends which country you reside in, please contact your local embassy and enquire for more details. Around 2,000 TBH, which is roughly $60. Do I need an Education Visa to visit Thailand? No, there are Tourist visas and Business visas to, it just depends which one suits you best. Do I need an Education Visa to study at your school? No, some of our students do not require one. But it is always suggested if tourists take any official education in Thailand you should have an Education Visa. But can I study on a Tourist visa? Yes, we have students studying under tourist visas. Do I have to do a border run to extend my Education visa? No, an education visa can be extended at the local immigration office every 3 months. How much does it cost to extend my education visa? The price varies and it depends if you want to visit immigration yourself to extend your visa. The standard charge is 1,900 TBH every extension. If you don’t want to visit immigration yourself, the charge is 3,500 TBH. We will update this when new information comes to light. How long will my education visa last? Depends how long you’re enrolled in education. But only one year at a time. After one year, you will need to leave Thailand and get a new ED visa. What’s the maximum amount of time I can have an education visa? At the moment there is no limit, as long as you get a new visa every year. Can I transfer my tourist visa into an education visa? No, you must apply for a new visa. One I have my visa, can I leave the country and come back on the same visa? Yes, it you have a multiple entry visa then you are entitled to leave the country and return using the same multiple entry visa. However you are advised not to be out of the country for more than 1 month. Is my nationality allowed a visa? Currently only a select few countries have major visa restrictions imposed. These countries are Bangladesh, China, India, Iran, Sri-Lanka and other Middle Eastern countries. If you are from one of these countries or are not sure you must apply from you country of origin. My visa was declined, what now? If your visa application was sent back to you then ask them why it was denied, most embassies should explain the reason. At this point depending on the reason you can either reapply or enter on a tourist visa. If you tell us what extra documents you need, we can send them by email or DHL the same day. I’ve already been in country for almost 1 year on a tourist visa, can I still apply for an education visa? Yes, new rules dictate that people may only reside in country 1 year on a tourist visa, but the rules are un-clear and have left a lot of agencies in confusion. 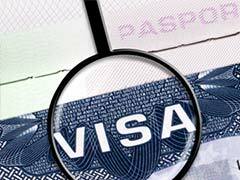 You can apply for the visa, yet even if you are granted you may be turned away at immigration. The safest way in if you have a visa is to fly. Do I have to have a visa to come to Thailand? No, if you want to be here for a short stay then the free 30 day entry stamps are provided on arrival to the country, they can be extended 3 times. My passport’s about to expire, can I get a visa? No, if you have 6 months or less on your passport you cannot apply for a visa. I don’t know if this is right for me? If you’re not comfortable with the idea then don’t do it. But remember, it’s a big step for anyone, calmly make up your mind. What happens if I don’t attend the course when I get in country? Education visa holders are required to attend 8 hours of classes per week. If this is not met then their visa could be revoked. Also at immigration centers during visa extensions they sometimes perform a on the spot test to see if you have been attending. Do I need your help with the visa? No, you do not need it. However our involvement makes the process a lot easier and quicker. Does my child need a visa? If the child is under 14 then they will be included in your visa and not be required to have their own. How long does it take to get visa? It will take 2-4 weeks to get your application back then depends on when you get to an embassy. Once submitted it should either be instant or within 24 hours. How long does it take to get MOE letter? To get the approval letter it normally takes nearer 4 weeks. To get a one year ED visa, you will be required to study 8 hours a week, or a minimum of 4 days a week. Currently, you can get a 3 month ED visa, and extend every 90 days up to one year, if you study 4 hours a week. The MOE state you have to attend 70% or more of your classes to keep your visa. Is this is a real school? Yes, we are a Ministry of Education licensed Tutor and Vocational Language school in Koh Samui. Do we learn reading and writing? Yes, in both English and Thai courses reading and writing are covered in our normal classes. However our shorter Thai refresher courses only cover spoken. Can I extend my visa after 1 year? Yes, you just need to enroll in a new course. What happens when I need a new passport? If you are in Thailand when your passport expires then you will need to follow your countries rules regarding getting a new passport. How can I get from Thailand to another countries Thai visa office? By train, plain, boat, car, mini bus, coach. Really anyway you like. The routes are commonly traveled in Thailand, just inquire with us or at a travel agency. Have you got Russian teachers? We have a Russian liaison officer who will be happy to help any Russian nationals with their issues. A standard class with normally have 10 students, when we hit 12 we split the classes in two. Do I need an education certificate from before? No, but you need to provide information on the student form about your course, year, name of school so we can place you in the right class. Bank statements, education certificates and any other personal information you need to submit will only need to be translated if you apply in Thailand. If you’re applying within your country, then no need. Do I need to give a bank statement? If your applying from your country then normally not. If you’re in Thailand then yes. Contact us directly by clicking here!